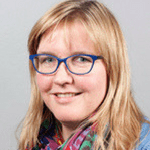 To help provide insight into the recent article published in Bioanalysis: Parallel Artificial Liquid Membrane Extraction (PALME) of Psychoactive Analytes-a novel approach in therapeutic drug monitoring, we spoke with author Astrid Gjelstad, Associate Professor at the School of Pharmacy, University of Oslo (Norway). Astrid explains why she felt this was an important area for bioanalysis and worthy of publication. With 13 years of expereince in the field, Astrid’s main focus has been on membrane extractions. During my studies in pharmacy, I enjoyed the combination of logical solutions to biological related questions. The use of chemistry knowledge and mathematical calculations to, (for example), decide drug concentrations in biological matrices really inspired me to continue my studies in the field. In addition, my supervisors during my masters and PhD studies played important roles for my career. I hope that the publication will inspire not only researchers but also people working in the routine lab, to try PALME and realize how simple the extraction method can be. Taking into consideration the increased interest of DBS over the last few years, I expect the simple use of PALME for clean-up of DBS to be an interesting combination for more than just academic staff. We feel that PALME is the missing link between liquid-phase microextraction, which seems to be interesting for academia only, and more user-friendly equipment meant for routine labs. We will continue the development of PALME to apply to more individuals in different fields of interest, for example, therapeutic drug monitoring, forensic analysis and doping analysis. It would also be interesting to get in touch with companies that are interested in the technique as well as the further development and tailoring of the equipment. The focus on green chemistry hopefully allows microextraction methods like PALME to emerge as an interesting alternative to traditional liquid-liquid extraction, reducing both the use of organic solvent from mL to µl per sample, and also the operational time for the staff. I am always following my colleagues around the world working in the field of microextraction. Worth mentioning is Pavel Kubán and his group at Institute of Analytical Chemistry of the Czech Academy of Sciences (Brno, Czech Republic). He is developing interesting and creative solutions for micro-electromembrane extractions, and visualizes the concepts by colored solutions. Nowadays, the point of effort in analytical chemistry research is, (for example) miniaturization of LC and MS, and not directed towards sample preparation. I have the impression that many people out there still use the good, old sample preparation methods. In other words, there is a need for more research on sample preparation that fits into miniaturization trends. Therefore, I would encourage researchers to look more into new sample preparation methods; there are lots of possibilities out there. However, as in all research, patience is a virtue here!